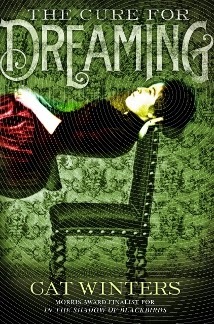 I'm currently on a deadline for my next novel, The Cure for Dreaming. Therefore, this website will be a little quieter for the next two months or so, and I won't be doing as many guest posts and interviews. 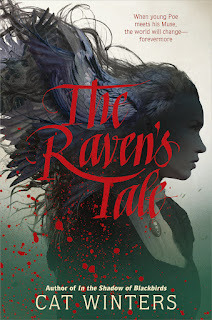 In the meantime, you can learn more about In the Shadow of Blackbirds, The Cure for Dreaming (including more details about the plot), and other potential future projects in an interview with me at My Friends Are Fiction. Appearances: I have one yet-to-be-announced appearance scheduled for June, but other in-person events won't start up again until July. Keep an eye on my Events page; I'll be adding appearances as soon as they're confirmed. Prepare for quite a bit of activity this Halloween season (mainly on the U.S. West Coast). 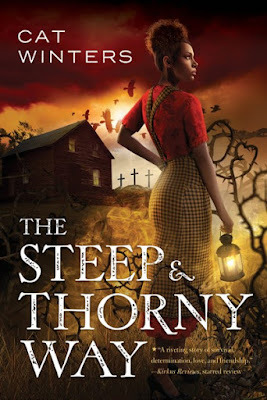 Goodreads Q&A group: I was planning to host an In the Shadow of Blackbirds question and answer forum on Goodreads this month, but because of my current deadline, I've decided to move that event to mid-July. More people will now have time to read the book, so the delay will allow me to permit more spoilery discussions. The Embers Photo Gallery: I'd love to add a gallery of reader-created spirit photography and fan art on the In the Shadow of Blackbirds website, BlackbirdsNovel.com. Check back for details on that project this summer. Before that point, feel free to send me notes and artwork at catwintersbooks AT gmail.com. I'm still checking messages, even as I'm writing. Me, dressed for San Diego's Gaslight Gathering. I spent the past four days traveling with In the Shadow of Blackbirds in its San Diego setting. 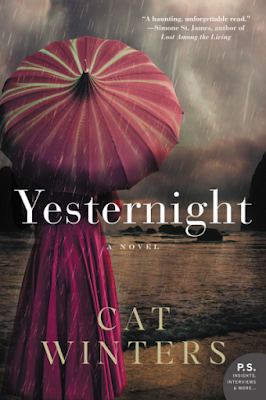 I met high school students, librarians, booksellers, and other readers and enjoyed every moment. To fully immerse San Diego students into the novel's 1918 setting, I had them wearing flu masks and smelling a bag full of raw onions. I also ventured into the world of steampunk conventions at San Diego's Gaslight Gathering. I've posted several photos from my trip, including pics from the novel's setting, on my Facebook page. 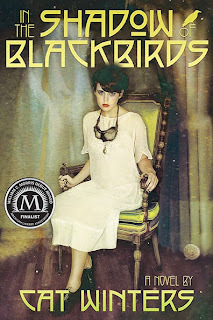 I was originally going to just make this post about my San Diego events, but I want to quickly add that I recently learned In the Shadow of Blackbirds received a nomination for the Young Adult Library Services Association's 2014 Best Fiction for Young Adults! 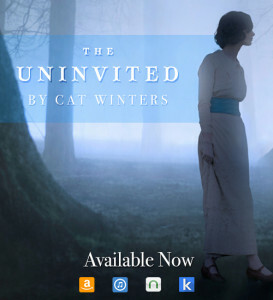 I'm so honored to see my book listed with the works of amazing authors such as the über talented Ruta Sepetys!!! And now for the news about my trip. Tomorrow I'm recreating Mary Shelley Black's journey from Portland, OR, to San Diego, CA. If you've read In the Shadow of Blackbirds, you'll know that the novel begins with my protagonist boarding a train bound for San Diego in the middle of the 1918 Spanish flu pandemic. I'm taking a much comfier route: a short flight involving snacks and some reading time. 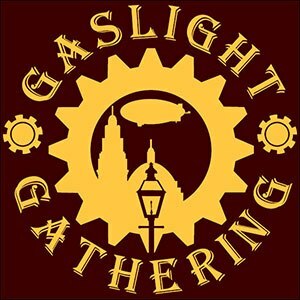 On Saturday, May 4, I'll be at the Gaslight Gathering: Steampunk & Victoriana Convention at the Town & Country Resort Hotel, 500 Hotel Circle North, San Diego. Yes, I'm dressing up for the steampunk convention! I have a lovely black WWI-style dress and will likely be wearing some Mary Shelley Black-style clockwork jewelry. In the Shadow of Blackbirds isn't a steampunk novel, but my main character loves clocks and technology and the works of Jules Verne, and she even owns a pair of lucky aviatrix goggles. I'll post photos from the trip after I'm back next week! Hopefully, I can also snap some shots of my favorite San Diego haunted sites.